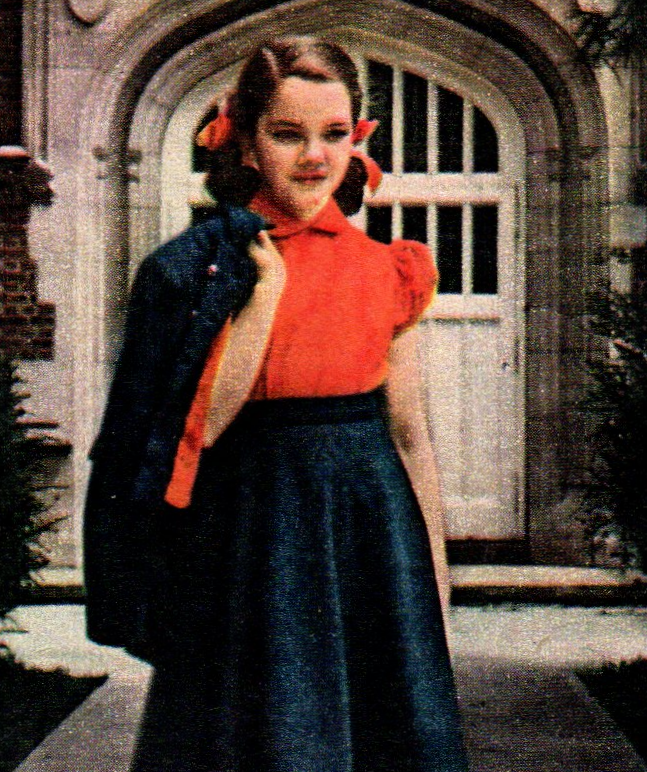 We can hardly look at back-to-school fashion for high school and college and NOT look at elementary school! Whether you call it elementary school, grade school, or primary school, the younger set have their fashion tastes too. 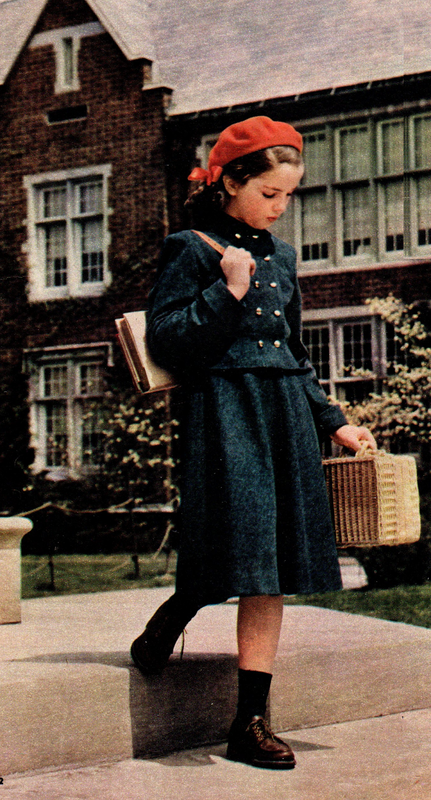 A short wool jacket and flared wool skirt team up nicely for school days. The bright cotton flannel blouse mirrors the flannelette that lines the jacket. 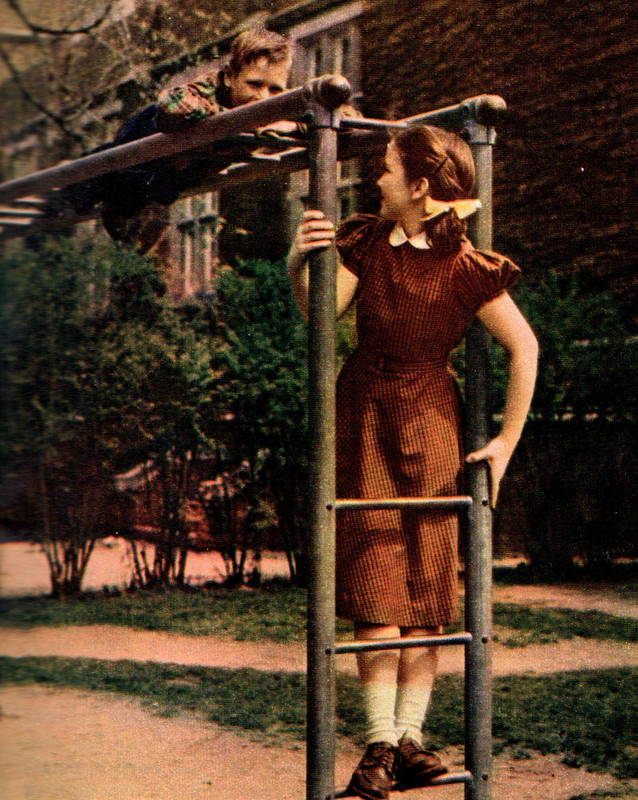 This "study and play" dress of cotton has puff sleeves, flared skirt, and peter pan collar. This velveteen jumper and blouse of batiste make a pretty party ensemble. A plaid skirt teams up with a sweater for the perfect school outfit. 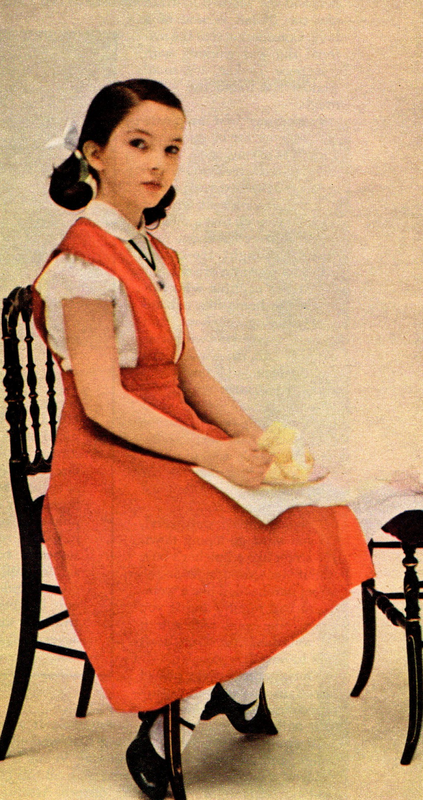 Don't you love her matching socks and hair ribbons? If these came in adult sizes I would have them. 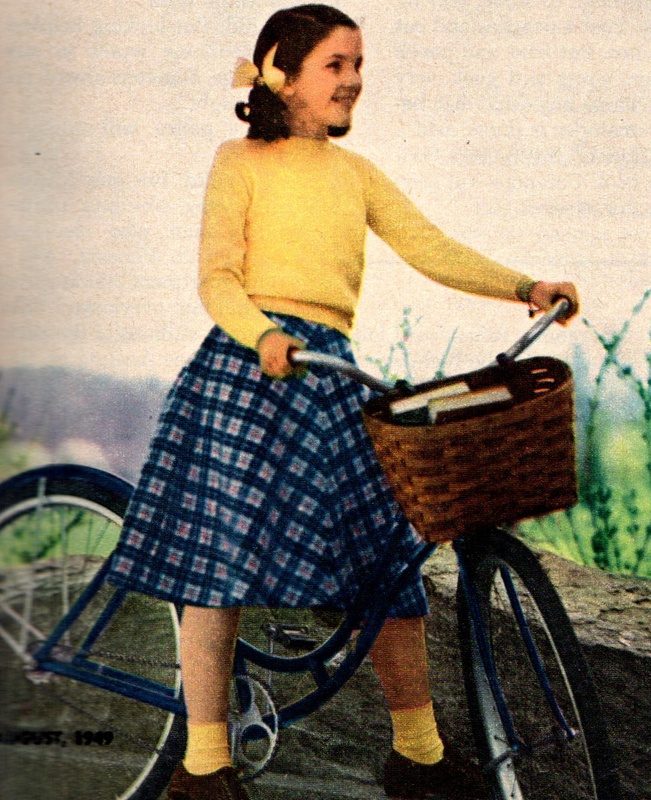 Especially the plaid skirt and the wicker basket. The jacket is fabulous too. Frankly it is hard to choose a favourite. One day I will own a grown ups bike with a basket like that!